The EUR/US currency pair is making another attempt to start any type of correction. Yesterday the market was able to start the first ascending impulse, today it is trying to form the second one. 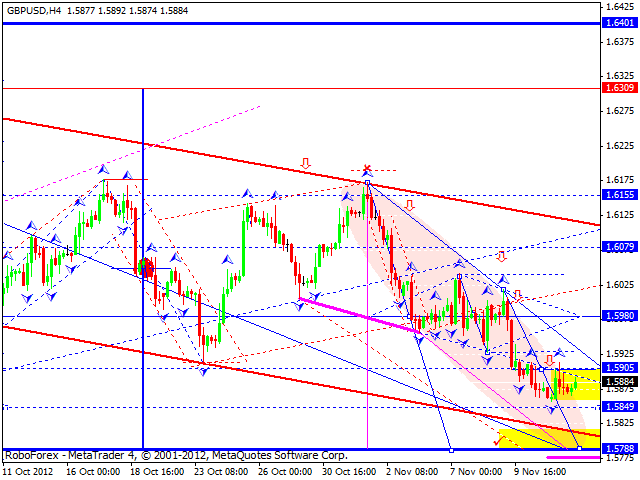 The whole structure has a target at the level of 1.2765. After reaching this level, the price is expected to continue falling down towards the target at 1.2640. The main target of the third wave will be at the level of 1.2520. Unlike the other currency pairs, Pound formed an ascending impulse without any alternatives. And right now it can’t start forming the second one. Today the market is expected to move inside a narrow trading range, then break it downwards and continue falling down towards the target at 1.5790. 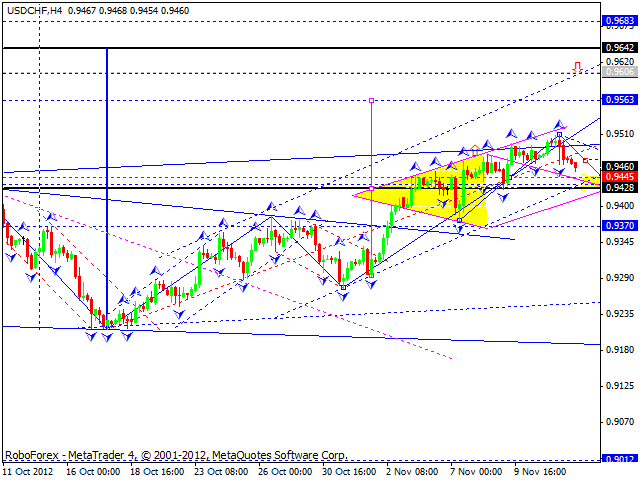 The USD/CHF currency air is trying to start a corrective movement. Today the price is expected to move downwards, test the levels of 0.9445 - 0.9428, and then start growing up towards the first target, which is at 0.9565. The main target is at the level of 0.9606. 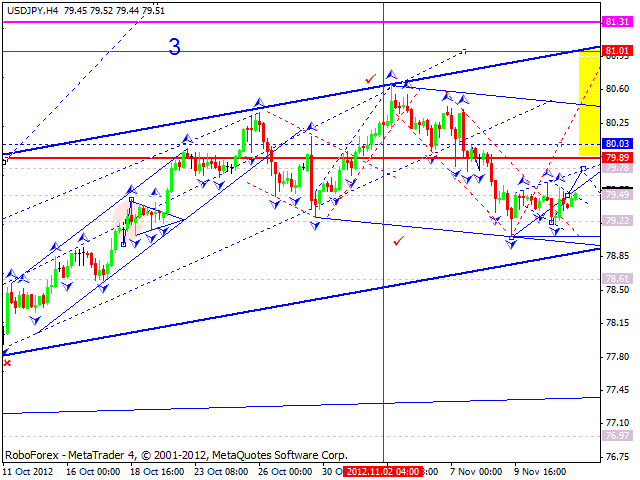 The USD/JPY currency pair continues forming an ascending structure according to the forecast. Today the price is expected to break the level of 79.50, reach the target at 79.80, return to 79.50, and then grow up towards the target at 79.90. 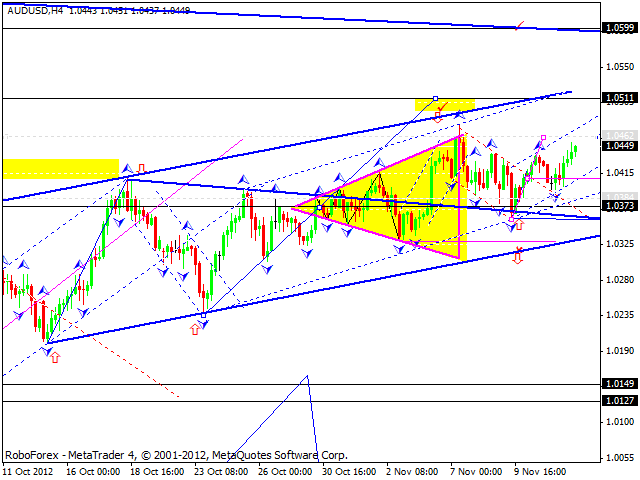 Australian Dollar continues forming an ascending wave, the first target is at 1.0460. Today the price is expected to start a correction towards the level of 1.0410, then move upwards and break the level of 1.0460. 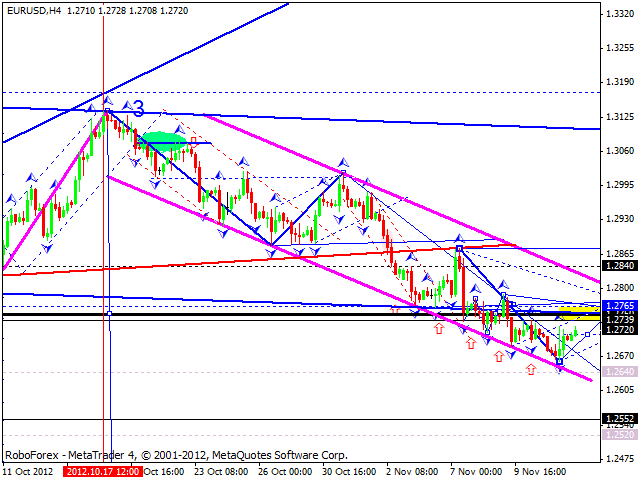 Later the price may consolidate towards the target at 1.0510. Gold completed the first descending wave and corrected it, thus indicating a trading range for the further movement. 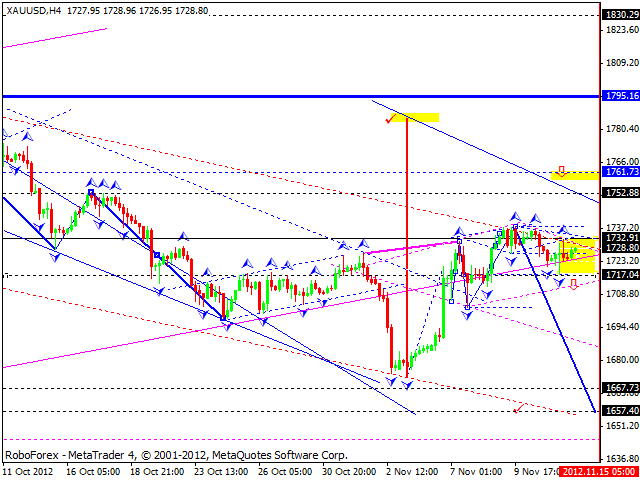 If the price breaks this range upwards, the instrument will reach the target at 1750, if downwards – the level of 1700.